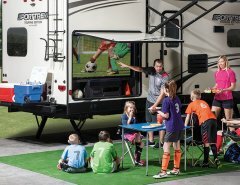 ELKHART, IND. 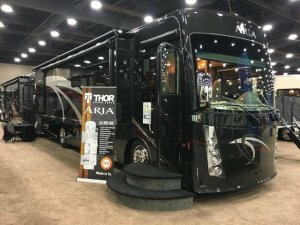 – Thor Motor Coach builds the world’s most innovative brands of Class A and Class C motorhomes. 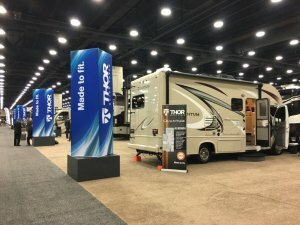 Many of these brands are showcasing new floor plans to dealers for the first time at the Recreation Vehicle Industry Association’s (RVIA) National RV Trade Show starting today, November 29, in Louisville, Ky.
Chateau 31Y – The first Thor Motor Coach with dual front swivel seats on the Ford E-Series chassis is this luxurious Class C with a full wall slide-out and massive exterior storage. 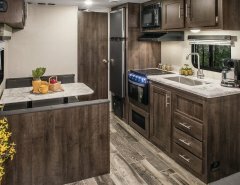 Miramar 35.3 – Bath-and-a-half model with a Dream Dinette® booth, expanding sofa, residential refrigerator and washer/dryer prep. 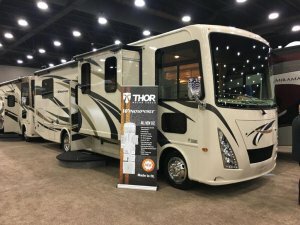 “Thor Motor Coach is made to fit, and this is just another example of how we are setting the market trends with innovative floorplan offerings”, said Jon Krider, Vice President of Product Development at Thor Motor Coach. 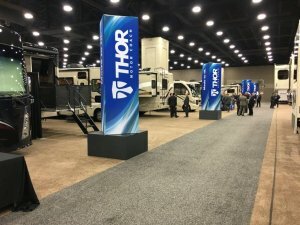 “We are excited about our vast dealer network and the chance to show them the newest models Thor Motor coach has to offer in Louisville.”To see all the new models, visit Thor Motor Coach in the North Wing, Booth 3000. 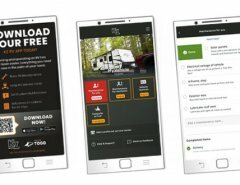 For more information, visit thormotorcoach.com.